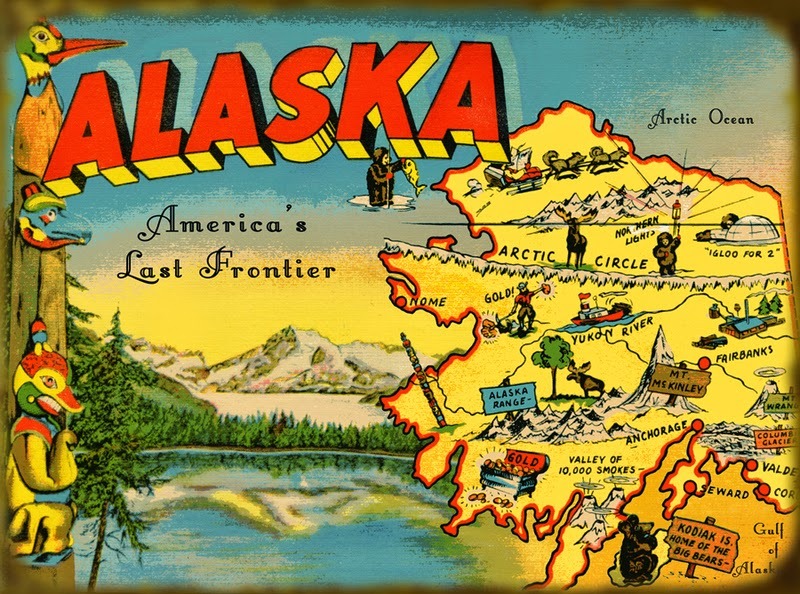 In the 1700s, Russian fur hunters and settlers introduced new foods to the Alaskan natives, including flour. The Aleuts quickly mastered piecrust and began making pirog, a "fist pie" of salmon, hard-boiled eggs, rice, and onion, enclosed in pastry. This frontier fish-camp dish remains a staple on the Alaskan table. 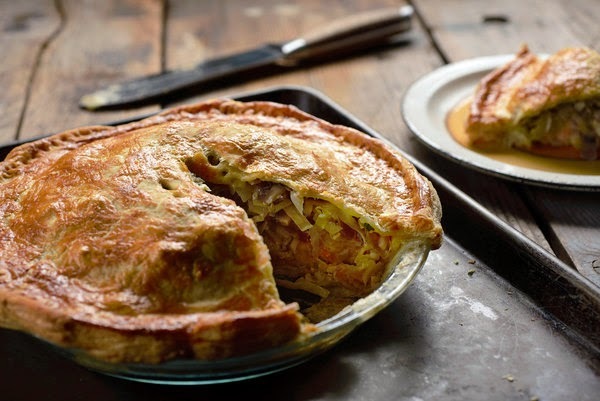 The following recipe for Russian Salmon Pie comes via NYT Cooking from Kirsten Dixon, the chef and a owner of both Winterlake Lodge and Tutka Bay Lodge in Alaska. I couldn't leave out Baked Alaska, which dates back to the 1860s and legendary New York City restaurant Delmonico's. The dessert is traditionally composed of sponge cake and ice cream filling with a baked meringue shell. The following pie recipe is a spin on this classic dessert. It's excerpted from Jeni's Splendid Ice Creams at Home by Jeni Britton Bauer. (Artisan Books). This particular pie is versatile in that the flavor changes with the ice cream. Use any flavor combination that appeals to you - chocolate, coconut, banana, and lemon ice cream, or strawberry and buttermilk ice cream. You can even add a thin layer of sauce between the ice cream and merengue -- chocolate, butterscotch, raspberry -- you name it you can add it -- for a new twist. It's yours to create. Make it a party-worthy performance by putting on the finishing touches with a blow torch in front of friends. For the Pie Crust: Combine the all-purpose flour, whole wheat flour, and oats in a food processor and process until the oats are in bits. Add the sugar and salt and pulse to combine. Add the butter and pulse just until the dough begins to come together and looks crumbly. Whisk the egg yolk and half-and-half together in a small bowl. Add the vanilla and whisk to combine. Add to the flour mixture and pulse until the mixture forms a dough. Turn the dough out onto a lightly floured surface, gather it into a ball, and press into a disk. Wrap in plastic and refrigerate until firm, about 1 hour. Remove the dough from the refrigerator and let warm for a few minutes to relax the dough. On a lightly floured surface, roll the dough into a circle just under 14 inch thick. Gently fold the circle over the rolling pin and lift into a 9-inch pie pan. Press the dough into the pan and trim the edges to a 12-inch overhang. Roll the edge of the dough under itself and tuck and pinch to create a fluted edge; you can also use a fork to create a decorative finish. Refrigerate for 30 minutes. Preheat the ove to 350º F. Prick the bottom of the dough all over with a fork. Line with a square of parchment paper and fill with pie weights or dried beans. Bake for 12 minutes. Lift out the liner and weights and bake for another 12 to 15 minutes, or until the shell is lightly browned and cooked through on the bottom. Let cool, then wrap well in plastic wrap and freeze. Fill the shell with the ice cream, cover with plastic wrap, and freeze or at least 4 hours. For the Meringue: Put the egg whites in the bowl of a stand mixer fitted with a whisk attachment. Combine the sugar, water, corn syrup, and salt in a heavy-bottomed saucepan and bring to a boil over medium-high heat, stirring once or twice to dissolve the sugar; once the sugar is dissolved, do not stir the syrup again. Insert a candy thermometer in the pan. When the syrup reaches 215º F, turn the mixer on to medium speed and start whipping the egg whites. (You want to time the whipping of the egg whites so that they reach soft peaks by the time the syrup is ready.) When the egg whites begin to foam, add the cream of tartar. When the syrup reaches 238º F, remove it from the heat. With the mixer on medium speed, carefully pour the syrup out in a slow, steady stream down the side of the mixer bowl - be careful not to let the stream of syrup come into contact with the whisk. Once all the syrup has been added, add the vanilla seeds, if using, turn the speed up to high, and whip until the meringue forms billowy peaks and is cool. 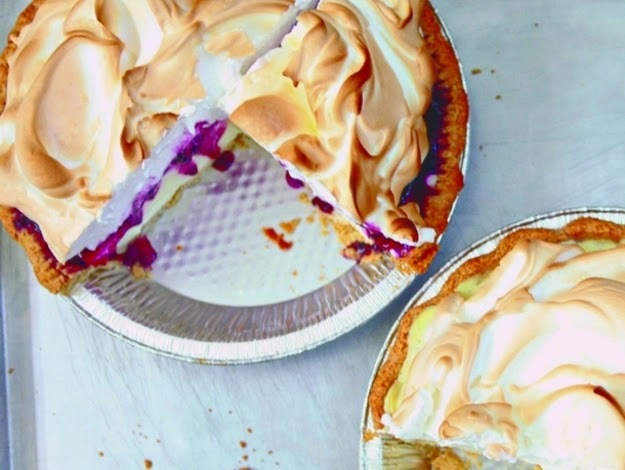 Preheat the oven to 475º F. Remove the pie from the freezer and bake for about 5 minutes, just enough to brown the meringue on top and slightly melt the edges of the ice cream. Slice and serve.